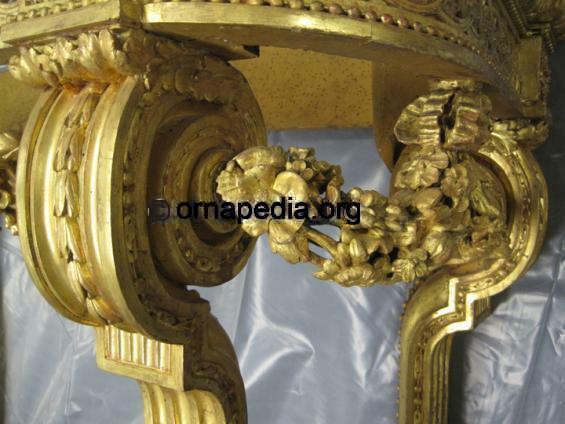 18th Century French Kraemer console Table - at The Legion of Honor in San Francisco - detail of the swag front and rear legs - Ornapedia. Description: 18th Century French Kraemer console table, at The Legion of Honor in San Francisco, with a swag detail between front and rear legs. Read more about 18th Century French Kraemer console table.